A new report has revealed which of Thailand’s mobile operators offer the fastest 3G and 4G data speeds. London based analytics company Open Signal has released its latest State of Mobile Networks: Thailand 2018. The company says it analysed 857,341,028 measurements from 109,807 test devices between Jul 1 - Sep 28, 2018. “OpenSignal compared the 3G and 4G services of Thailand's three main operators: AIS, Telenor's DTAC and True Corporation's TrueMove H”, the company said. “In addition to our national analysis, we also took a look at our core metrics for the three operators in Thailand's five regions”. For the second consecutive year, TrueMove were found to offer the fastest 4G download and upload speeds, with the company also found to have the fastest mobile data speeds overall. According to the report, TrueMove was found to have an average 4G download speed of 9.15Mbps, followed by DTAC at 8.32Mbps and AIS with 6.73Mbps. In terms of overall download speed, which is the average speed across both 3G and 4G network, as well as network availability, TrueMove als came out on top with average overall speeds of 7.3Mbps, followed by DTAC 6.57Mbps and AIS 5.55Mbps. However, AIS was found to have the best network availability in Thailand, with AIS customers able to access 4G 90 percent of the time, followed by TrueMove customers who could access 4G 86.19 percent and DTAC whose 4G was available to customers 83.45 percent. “Our latest test period reveals a new winner in our 4G availability metric as AIS took the award with an impressive score of 90%, OpenSignal said. “That means our 4G users were able to find an AIS LTE signal in nine out of 10 attempts”. “In speed, TrueMove continued to dominate our metrics. It won our 4G download speed award with an average connection of 9.2 Mbps, our overall download speed award with a score of 7.3 Mbps and our 4G upload speed award with a result of 7.5 Mbps”. 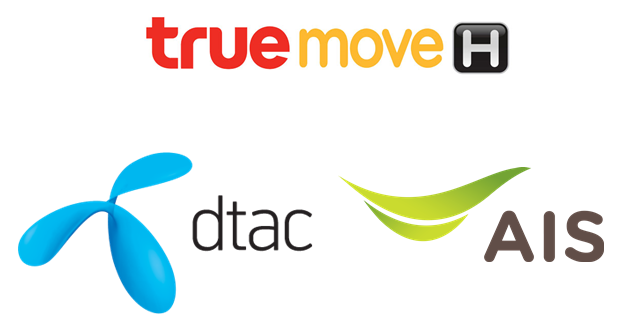 The report added that while TrueMove leads the way for 4G speeds in Thailand currently, it may soon face competition from DTAC. Following the recent launch of its 4G Turbo serviced, DTAC’s average 4G download speed increased to 8.3Mbps, allowing the firm to leapfrog AIS to second place. The report also said "Thailand has one of the highest levels of 4G reach not only for the region, but also the world." No mention of comparative costs though, unless I missed it? 9Mbps, that's not even full 3G speed. And we are talking about 5G. What a joke. A lot wrong with the reported speeds, as we are used to with Thai news reports, but I do agree with the above. I was recently in my home country Belgium, which I love to call a third world country, and had purchased a temporary sim from the biggest provider in the country, named Orange. Most places it would have very poor connection, and many no connection at all, either for data or make calls. My battery which last 2 days in Thailand, would last about 6 hours, and that is with low usage.